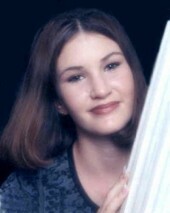 Wendy Hudakoc was last seen leaving a party with an adult male on 11/15/1998 in the city of Naples. Fourteen year old Wendy Hudakoc believed that nothing really bad ever happened to her or her family. Her stepfather, Dan Campbell, said the lack of concern about the dangers of the world, common in younger people, may have played a role in the pre-teen sneaking out of her home on Nov. 14th, 1998, to attend a party. She never came back and hasn’t been seen or heard from since. National Missing Children’s Day; A day set aside every year to celebrate the missing children who have been returned home, and to remember those who have not. Nearly 800,000 children are reported missing every year in the United States, an average of over 2,000 a day, according to U.S. Department of Justice statistics. Most are recovered, many after only a few hours and or only (approximately) 100 or so, are abducted or murdered by a stranger or vague acquaintance each year in the US. Sgt. Stefan Loeffler from the Sheriff’s Office’s Special Crimes Bureau said his unit needs to remain optimistic that the children they’re looking for can be recovered and reunited with their families. He said they never give up. Included on the list of missing children in Lee and Collier counties are 6-year-old Adji Desir, who disappeared from outside his grandmother’s Immokalee home in January, and “Baby” Bryan Dos Santos-Gomez, who was abducted from his mother at knife point on Dec. 1, 2006. Those cases made headlines, but several other children on the list did not, including 16-year-old Carmen Bautista, who authorities believe ran away from Immokalee in June 2008 with her then-2-year-old daughter Jemni Bautista, and baby Ana Maria Jimenez-Bautista. Authorities do not have photographs of any of the Bautista children, which makes finding them all the more difficult. Herb Jones, vice president for external affairs and Internet safety for the National Center, said one in six missing children is ultimately found in part because of a photograph. He said parents cannot take their children’s safety for granted, no matter where they live. “It can happen to anyone at any time. Small cities, big cities, medium-sized cities,” Jones said. Authorities say the most important thing parents can do to keep their children safe is to communicate with them. Campbell said parents should get to know their children’s friends, including their full names and a little backround information. Always ask where they’re going and to keep in touch. The last person Wendy Hudakoc was known to be with was Ronald DePeppo, then 20, who she had met at a bowling alley. They left the party together around 2:30 a.m. on Nov. 15. DePeppo said he dropped Wendy off at home. Campbell said he and his wife, Shelley, are not optimistic Wendy will one day walk back through their door. They’ve resigned themselves to knowing she is gone. Both Dan and Shelley Campbell are now active in with the Florida Department of Law Enforcement’s Missing and Endangered Person Information Clearinghouse. Photo Of Janice Pockett, Taken The Year She Disappeared. Missing From: TOLLAND, CT. United StatesClothing Description: She was wearing blue shorts with an American flag pattern, a blue and white striped shirt and blue sneakers when she was last seen. Circumstances:Janice left her home by bicycle on the afternoon of July 26,1973 and was never seen again. Her bicycle was found nearby Rhodes Road adjacent to a wooded area. Janice has a gap between her front teeth. .
New York (CNN) — On a July afternoon in 1973, a little girl set out on her bicycle in a pristine corner of Connecticut. Janice Pockett, 7, was looking for a butterfly she’d caught and left on a rock by the road a couple of days earlier. Janice asked if she could ride off by herself and their mother said yes. It was a big deal, Engelbrecht said, because it was the first time either girl had been allowed to go anywhere by herself. 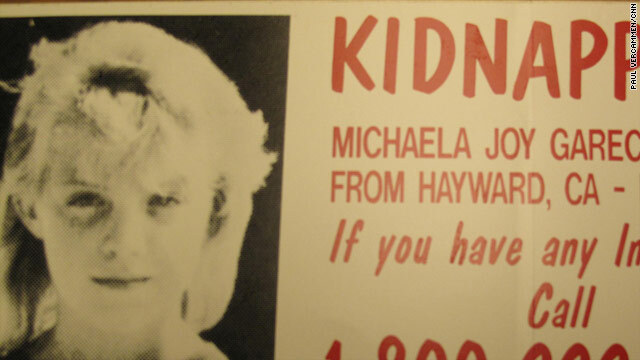 Janice never returned and 37 years later, the mystery of what happened to her continues to trouble residents of Tolland, a quiet community in the semi-rural suburbs of eastern Connecticut. Engelbrecht still has vivid memories of the day her sister vanished. She recalls that their mother gave Janice an envelope for the butterfly. She remembers how Janice rode off on her green, Murray banana-seat bicycle. Half an hour went by, and there was no sign of Janice. Engelbrecht, then 6, remembers walking up the street holding her mother’s hand as they went looking for her sister. They found her bike less than a mile away, abandoned on a dirt road close to the woods. Connecticut State Police continue to work the case. According to Detective Dan Cargill, a member of the investigative team, police found the bicycle between the rock and the Pocketts’ home. It appeared Janice may have been on her way back home when she was snatched,” he said. Police searched on foot and horseback, and used cadaver dogs to search the woods near the dirt road where the child’s bike was found. Photo Of Janice Taken Shortly Before Her Disappearance. Over the years police and volunteers have continued searching. They say they’ve gone over every inch of the woods. No evidence related to Janice Pockett was ever found. “I know in the initial search they scoured the woods for newly dug holes, but found none,” Cargill said. Janice’s bicycle was tested for fingerprints and, more recently, was tested with newer technologies available to investigators. Again, no forensic evidence was found. Hundreds of potential suspects were questioned; homes in the neighborhood were searched, tips were followed up, and criminal background checks were done. Still, nothing. “The dirt road where her bike had been found had tire tracks on it from various vehicles and our investigators followed up, searching vehicles fitting those tracks but again no clues were found,” Cargill said. Leads on possible suspects were followed, but investigators were frustrated by the dead ends. One potential suspect, now deceased, lived about 20 miles from Tolland at the time Janice Pockett disappeared. His criminal record included prison terms for the abduction and attempted murder of two boys in Massachusetts. And the man later was convicted of molesting two boys in Montana. When police searched the man’s Montana home, they found fragments of a child’s bones, but could not match them to Pockett. 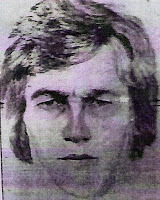 The man died in prison in 2008, and the identity of the child whose bones were found remains a mystery. Janice Pockett’s disappearance remains an open investigation, police said, adding that they still receive tips from time to time. Map showing Vernon, CT and surrounding towns, etc. You can also leave a annoymous tip on the tip-line at 860-896-3200. Sabrina Aisenberg – Born June 27, 1997, at St. Joseph’s Women’s Hospital in Tampa, Florida – She disappeared Nov. 24, 1997. She was named in memory of her great-grandparents Sylvia and Paul. She had just started to crawl when she disappeared. Nov. 24, 1997, at 6:42 AM, a call to 911, placed by a mother reported her 5 month old infant, Sabrina, was missing. Marlene Aisenberg claimed she and her husband, Steve put the infant in her crib at 11 o’clock the prior evening and awoke the next morning to find an empty crib. A massive search was immediately launched surrounding the infant’s home and neighborhood. After the parents were interviewed by law enforcement they decided to hire an attorney and refused to cooperate further due to law enforcement continued suspicions on them. They instead they made a media tour appearing on a host of national television shows to gain Support for their allegedly missing baby. They were critical of law enforcement. People within their community were beginning to suspect the parents..The family home was tapped by law enforcement as part of their investigation. 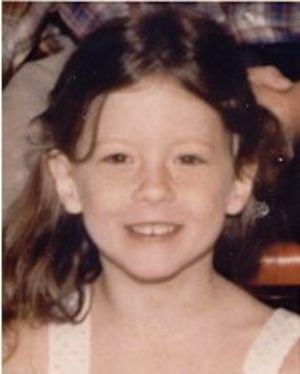 There are two other children remaining in the home, a girl 4 and a boy 8 at the time of Sabrina’s disappearance. In February 2001, all charges against the Aisenberg’s were dropped, with the US District ending the 18-month prosecution. Florida Gov. Jeb Bush (R) appointed a special prosecutor to investigate the conduct of the two Hillsborough County, Fla., sheriff’s detectives who first investigated the case and focused on the baby’s parents. Stephen Kunz, was demoted and stripped of his supervisory responsibilities, shortly thereafter. His partner, Rachelle DesVaux Bedke, Federal Attorney, has been transferred to a different department. The two are being investigated by the Justice Department. FOR MORE INFORMATION ON BABY SABRINA’S DISAPPEARANCE, PLEASE CLICK THE LINKS BELOW. Sabrina — Born born June 27, 1997, at St. Joseph’s Women’s Hospital in Tampa. She disappeared Nov. 24, 1997. She was named in memory of her great-grandparents Sylvia and Paul. She had just started to crawl when she disappeared. Marlene Aisenberg — Born Marlene Sadowsky on Oct. 3, 1962. She is an early childhood education specialist who ran Play Time Pals in Brandon, a program for toddlers and their mothers. She met her future husband during their junior year at the University of Maryland. They moved to Brandon in 1991, following her parents and sister, Elaine. Steve Aisenberg –– Born Sept. 14, 1963. 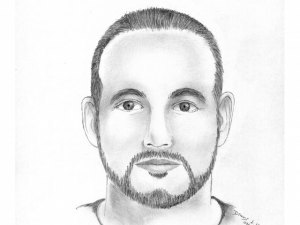 He was a real estate salesman at M/I Homes in Brandon when Sabrina disappeared. He returned to work six weeks later but said he struggled to focus on work. The Aisenbergs moved to Maryland this summer. Monica Aisenberg — Sabrina’s sister was 4 when her sister disappeared. Because they looked alike, her parents released a photo of Monica when she was 1-year-old, hoping someone might recognize Sabrina at the same age. 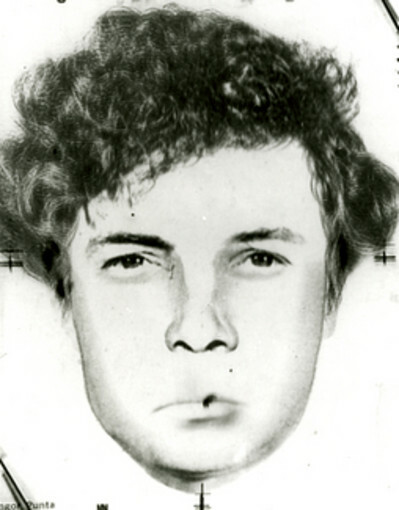 William Aisenberg — Sabrina’s brother was 8 when his sister disappeared. His parents said he had a hard time dealing with his sister’s disappearance. Barry Cohen — The Aisenbergs’ attorney, one of the most prominent criminal defense lawyers in the Tampa Bay area. Cohen, 60, has been described as a bulldog for his aggressive approach. He graduated from Florida State University in 1962 and got his law degree from Mercer University in 1966. His clients have included former Hillsborough State Attorney E.J. Salcines and William LaTorre, the Pinellas chiropractor acquitted in the deaths of four teenagers in a 1989 boating accident. Charles Wilson – Today marks the end of Charles Wilson’s five years as U.S. attorney for the Middle District of Florida, which runs from Jacksonville to Fort Myers. Wilson, 44, a former Hillsborough County judge and federal magistrate, will replace retiring Judge Joseph Hatchett on the 11th U.S. Circuit Court of Appeals, for whom he worked as a clerk 20 years ago. His office has prosecuted executives of Columbia/HCA Healthcare Corp. and the Rev. Henry J. Lyons.